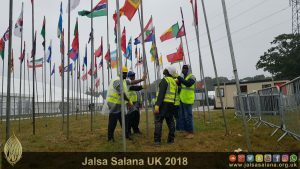 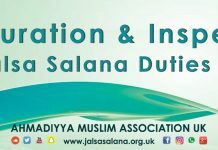 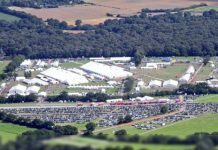 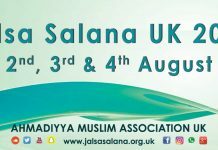 Inspection of Jalsa Salana UK 2018 takes place Hazrat Mirza Masroor Ahmad inspects preparations in Alton, Haslemere and Morden. 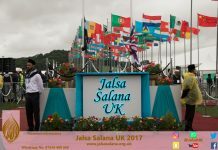 The World Head of the Ahmadiyya Muslim Community, the Fifth Khalifa, His Holiness, Hazrat Mirza Masroor Ahmad conducted an inspection for the arrangements of the 52nd Annual Convention (Jalsa Salana) of the Ahmadiyya Muslim Community in the United Kingdom on Sunday 29 July 2018. 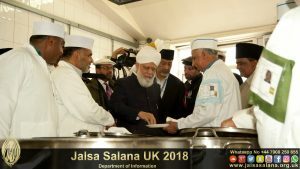 During the inspection, Hazrat Mirza Masroor Ahmad visited the various departments tasked with organising and running the three-day event. 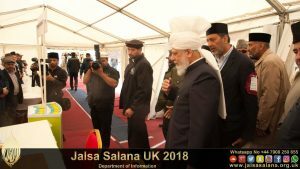 His Holiness was briefed on the arrangements as he inspected the site. 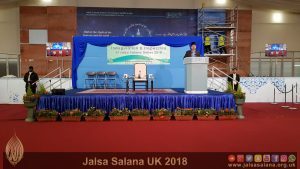 Later, His Holiness directly addressed many of the 5,000 volunteer workers and advised them to conduct their duties with diligence and to be regular in prayer. 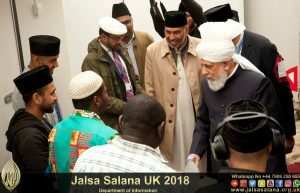 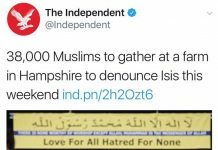 His Holiness advised them to be friendly and warm at all times and also reiterated the importance of ensuring that none of the local people in Alton, where the Jalsa Salana takes place, or those living near the Fazl Mosque in London had any cause of complaint from any Ahmadi Muslims. 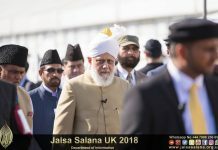 His Holiness mentioned that a few neighbours in the Fazl Mosque area had complained that Ahmadi Muslims had partially blocked their driveways when visiting the Mosque. 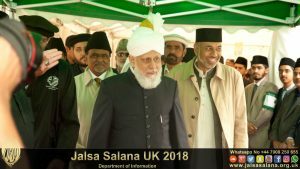 His Holiness said it was completely wrong to cause any form of discomfort to one’s neighbours and such complaints had proven a source of great embarrassment to him personally. 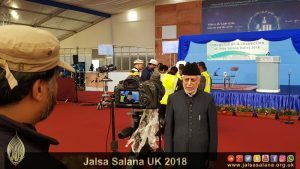 Earlier, His Holiness also inspected Jalsa Salana arrangements made at the Baitul Futuh Mosque in London and at the premises of Jamia Ahmadiyya UK in Haslemere.